Summary: The spraying machine is mainly composed of a feeding device, a spray gun and an atomization generating source. The atomization source varies with different types and sprayers: the atomization source of the air sprayer consists of an air compressor, a gas pipe, an air oil water separator, and a gas storage tank; the air spray machine atomization source is powered by a power source. The composition of the high-pressure pump; the atomization generating source of the electrostatic spraying machine is composed of a high-frequency high-voltage electrostatic generator. The spraying machine is mainly composed of a feeding device, a spray gun and an atomization generating source. The atomization source varies with different types and sprayers: the atomization source of the air sprayer consists of an air compressor, a gas pipe, an air oil water separator, and a gas storage tank; the air spray machine atomization source is powered by a power source. The composition of the high-pressure pump; the atomization generating source of the electrostatic spraying machine is composed of a high-frequency high-voltage electrostatic generator. 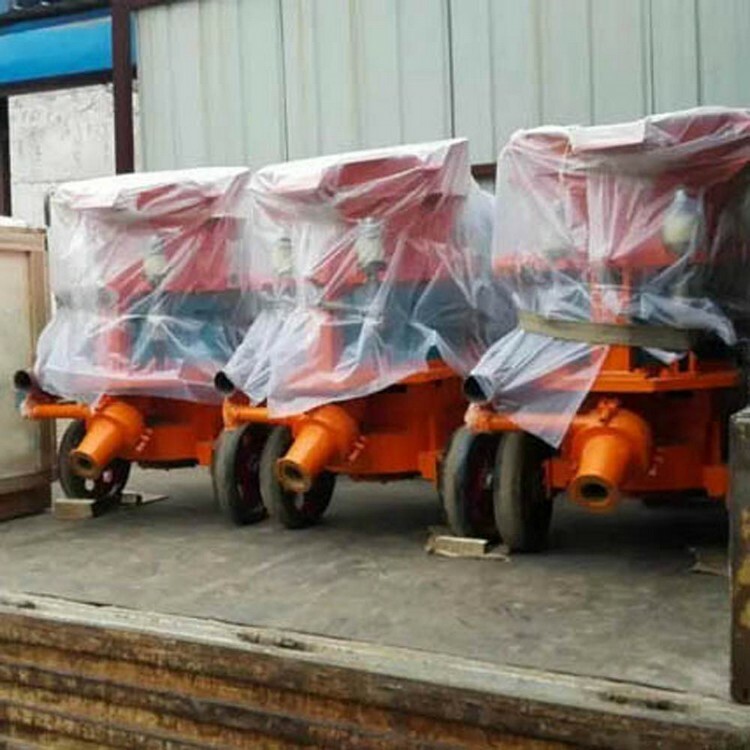 Spraying machine are consists of two parts: shotcreting and drying. The working mechanism includes a spray booth equipped with a spray head, a leather conveyor belt, a drying system and a cleaning mechanism. After 2012, the rotary multi-nozzle sealed spray chamber was used. The nozzle was opened and closed by ultrasonic or computer control, which realized the leather spray, no leather and no spray; saving the paint agent, reducing pollution and high coating efficiency. The sprayed leather is fed to the drying zone by a conveyor belt and collected from the other end after drying. The spraying machine is a special spraying equipment using high pressure airless spraying technology. High-pressure airless spraying machine, also known as airless spraying machine, uses a high-pressure piston pump to directly pressurize the paint to form a high-pressure paint that is sprayed out of the muzzle to form an atomizing airflow on the surface of the object (wall or wood surface). Compared with air-spraying, the paint surface is uniform and has no graininess. Because it is isolated from the air, the paint is dry and clean. Airless spray can be used for the construction of high viscosity paints with clear edges and even for some spray projects with boundary requirements. Depending on the type of machine, it is also divided into a pneumatic airless sprayer, an electric airless sprayer, and an internal combustion airless sprayer. Previous: How To Operate The Road Roller?  What Harm Does The Forklift Truck Overloaded?  How To Operate The Road Roller?